The feedback from our customers on both the initial release of the vCenter Server Appliance (VCSA) Migration Tool (vSphere 6.0 Update 2m) as well as the updated version included in the release of vSphere 6.5 has just been absolutely fantastic! The feedback has not only been positive in terms of customers experience with using the Migration Tool to go from a Windows-based vCenter Server to the VCSA, but also with their experience with the VCSA itself which has come a long from when it was first released back with vSphere 5.0. As with any customer feedback (good as well as the bad), I share this feedback directly with the Engineering/Product teams so that they know which areas customers have found useful and which areas we can still improve upon. One source of customer feedback which I see quite a bit of discussions on regarding the VCSA Migration Tool is on Twitter and being an active user myself, it is also makes it quite easy to collect and share this feedback internally. I even created the #migrate2vcsa hashtags a few years back to make it easy for customers to provide feedback for all things related to the VCSA Migration. Most recently, I was looking for a better way to share as well as aggregate some of the feedback from Twitter regarding the VCSA Migration Tool. Instead of manually tracking individual tweet links via an email or document, I wanted to anyone to be able to get a quick glance at the overall feedback. I started to look around and came across an interesting SaaS solution called Storify which allows you to tell "stories" by using content from various Social Media sources such as blog posts, Youtube or Twitter for example. 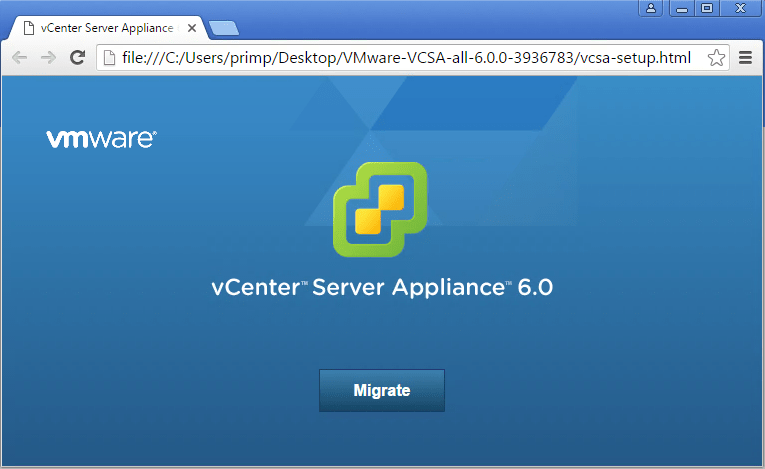 In case you had not heard, last week VMware had officially released the VCSA Migration Tool which is included in the new vSphere 6.0 Update 2m release. 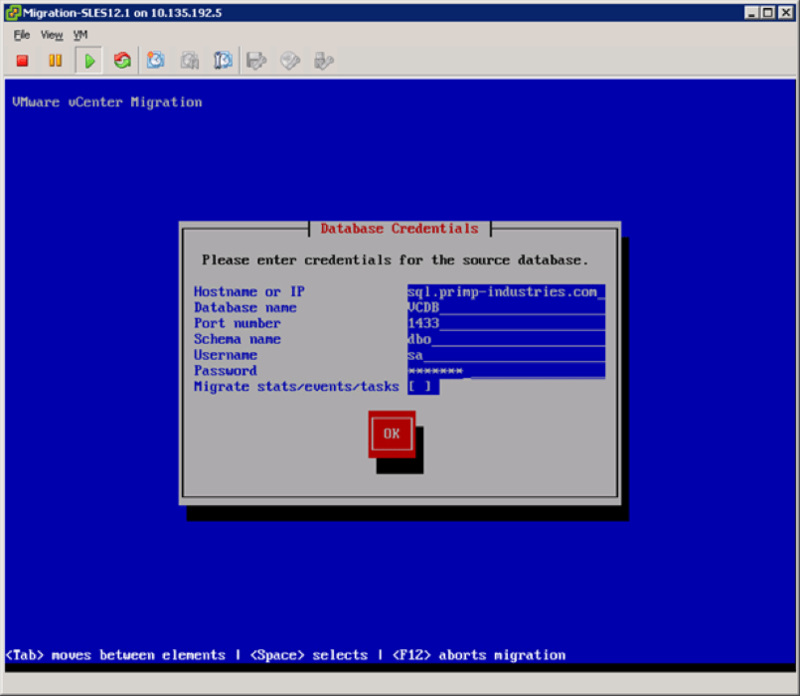 Customers can now easily migrate from a Windows based vCenter Server over to the vCenter Server Appliance (VCSA) all while preserving their existing vCenter Server configurations and integrations. For more details, I highly recommend you check out all the links and resources here related to the VCSA Migration Tool. If your VCSA was migrated from a Windows based vCenter Server using the new VCSA Migration Tool, you should see a value of windows. If you do not get any results, then it means the VCSA was not migrated and it was freshly deployed as an appliance. You should get back a value of either yes or no for migrating over the SET data. You should get back a value of either True for a CLI-based migration or False for a UI-based migration. 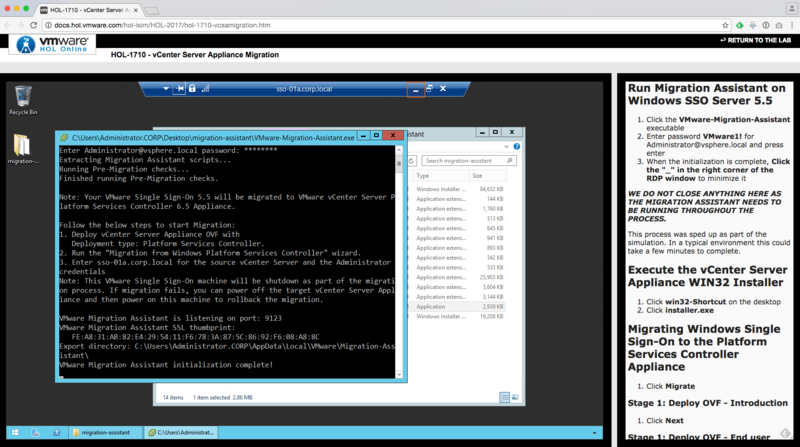 Here is a quick screenshot of running the three commands on a VCSA that was migrated. 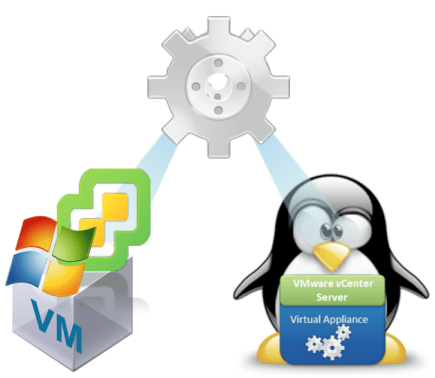 One thing that I had noticed at VMworld last week was that there was a lot of excitement and buzz coming from our customers/partners around migrating from a Windows based vCenter Server to the vCenter Server Appliance (VCSA). 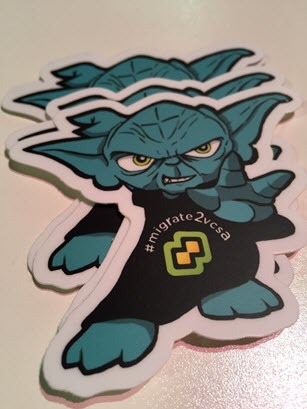 I am pretty sure it had nothing to do with the awesome #migrate2vcsa stickers that my buddy Emad had created. In all seriousness, I do think our customers are genuinely excited about this upcoming migration capability and the value of the VCSA over the Windows vCenter Server. This is especially true for simplified lifecycle management from deployment (Day 0), configuration (Day 1), patching and upgrade (Day 2) of the VCSA. Customers not only benefit from the operational aspect of the VCSA, but it also allows them to reduce their overall Windows licensing footprint for both the vCenter Server as well as the backend database which is usually a Microsoft SQL Server or an Oracle Database. I do understand that this is not the goal of all customers, but I also know of many customers who do appreciate this additional CapEx savings. I just found out about this, but it looks like our Hands-On-Labs folks also built a nice VCSA Migration simulation HOL (http://docs.hol.vmware.com/hol-isim/HOL-2017/hol-1710-vcsamigration.htm) that you can try out which gives you a sneak peak at a Tech Preview of the VCSA Migration Tool. You simply follow the instructions to the right and it walks you through the simulation and highlighting what you need to perform via the orange colored icon. I thought this was a very neat solution for folks to get an idea of how something works without having to sit through hours of content. Lastly, here are some of the general vCenter Server / VCSA sessions that are also worth checking out. I know many of you have been anxiously waiting for a fix to the Winexe bug that causes the VCS to VCSA Migration Fling to fail when migrating from a vCenter Server that runs on Microsoft Windows Server 2012 (includes R2) OS to the VCSA. It has taken a bit longer than we all had hoped due to legal reviews and such, but today I am please to announce that we now have an updated release to the VCS to VCSA Migration appliance (v0.9.1). For customers using Windows Server 2012, WinRM will be used instead of Winexe due to the Windows bug that has been identified and will require a couple of additional configurations on the source Windows vCenter Server prior to starting the migration process. For more details, please refer to the documentation on the Fling site. Customers using Windows Server 2008, Winexe will continue to work as it does today. In addition to this fix, we also now support specifying a custom port for the Microsoft SQL Server Database in case you had changed it from the default of 1433, which a few customers have asked for. I would like to give a big thanks to both Mike and Ravi for working tirelessly on getting this fix out as soon as they could along with all the legal hurdles. Let us know if you have any feedback by either leaving a comment below or better yet, interact with the Engineers by leaving a comment on the Fling site! The VCS (Windows VC) to VCSA Migration Fling has been out for a little over 6 months and the response from customers thus far has simply been phenomenal. We have also received some great feedback (200+ comments) from customers who have tried out the Fling in either a Dev/Test environment and some even in their production environment for those that are a bit more on the adventurous side. I have also had the pleasure in talking to some of these customers who have been successful in migrating off of their Windows vCenter Server (both large and small) and onto the vCenter Server Appliance (VCSA) and sharing additional feedback they may have about the Fling and how we can further improve. Microsoft Windows 2012 is currently not supported. Additional Info There is a known winexe bug which is affects migrating from this specific OS platform. Workaround Engineering has a fix for this and is currently in the process of testing the fix along with legal review. There is not an ETA due to the review but we hope to release an update to Fling that includes this fix very soon. Stay tuned!This has been resolved with v0.9.1 of the Migration Appliance and for more details please take a look here. Workaround Engineering has a fix for this and is currently in the process of testing the fix along with legal review. There is not an ETA due to the review but we hope to release an update to Fling that includes this fix very soon. Stay tuned! Additional Info Since the source Windows vCenter Server must be powered off during the database migration; running the database on the same source vCenter Server is not possible. Workaround One option is to re-ip the source Windows vCenter Server and ensuring the vCenter Server service is completely disable which would allow the Migration Appliance to communicate with the database. This is not ideal as you are modifying the source Windows vCenter Server but has worked in our testing. Second option that several other customers have recommended instead is to export the vCenter Server Database to a single instance of a Microsoft SQL Server or Microsoft SQL Express and that has worked really well. Additional Info There have been issues from some customers when trying to connect to an instance of the vCenter Server Database behind an MSCS Cluster. Workaround Exporting the vCenter Server Database to a single instance of a Microsoft SQL Server or Microsoft SQL Express and then using the Fling has worked for several customers. Issues connecting to a non-default named instance (e.g. SERVERNAME\VCENTER) of the vCenter Server Database. Additional Info Some customers have had issues with the connection string to a non-default named instance of the vCenter Server Database during the database migration portion of the Fling. Additional Info You see the following error "Extra sequences: vpx_host_cnx_seq;" in /var/log/vmware/upgrade/vcdb_req.err during the upgrade to VCSA 6.0. These sequences are only found and valid in a Microsoft SQL Server Database and are not relevant in an vPostgres Database and just simply need to be dropped as they are not used at all. Workaround Login to the VCSA 6.0 appliance as root and run the following command: /opt/vmware/vpostgres/current/bin/psql -U postgres -d VCDB -c "drop sequence if exists vpx_host_cnx_seq cascade"
Lastly, if there are other tidbits or workarounds that you would like to share, feel free to leave a comment and I will get it added to the list.